Check DRDO RAC Scientist Recruitment 2018: A very good employment notification exclusively for the graduates of the many disciplines. Now on 18th June 2018, DRDO associated organization called RAC prolonged the notification of 19 posts in Scientist ‘B’ & Scientist / Engineer ‘B’ for DRDO and ADA. For the selection of best-skilled candidates in the mentioned posts vacancies in the above two central organizations, releasing of this recruitment notification has been taken place. Gate exam qualified candidates those who are wishing for a technical PSU job must utilize this best opportunity. With the combination of both designations vacancies in DRDO and ADA, there are total 19 vacancies. Respective discipline eligible candidate applies for their posts. Fill DRDO RAC Online Application Form: Recruitment and Assessment Centre is the recruitment center of DRDO. Its works are recruiting the most skilled and knowledgeable candidates for DRDO vacancies. It is a very tough task to select the best-talented candidates but RAC doing its work very well and good. 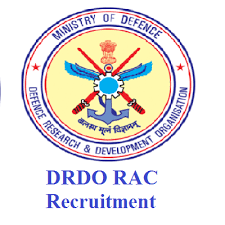 The job posting will be for the DRDO, ADA organizations so on behalf of these two RAC implementing the recruitment process by initially releasing a DRDO recruitment notification of 19 Scientist posts. Later interviews will be conducted at RAC, Delhi to the shortlisted candidates on the basis of academic merit marks and also by the Gate score. List out your correct academic marks while filling the application form of RAC recruitment. Check DRDO RAC Recruitment 2018 to hire the 19 Scientist ‘B’ & Scientist / Engineer ‘B’ posts in DRDO, ADA. The complete qualifications for DRDO RAC Recruitment 2018 notification as per the job wise. Interested candidates can have Bachelor’s degree in the respective discipline from a recognized university or Institue. Gate Exam score of 2015/2016/2017 also needed. Candidates, age must be as per the DRDO RAC Recruitment rules. That is maximum age is 28 years. Selected candidates for these posts will get the pay scale as Rs.80,000 per month including all allowances. Here in this post, we have assembled the entire RAC Recruitment of Scientist ‘B’ & Scientist / Engineer ‘B’ notification in the name of this post. If all the information is saved at a single place means it will reduce the time of the applicant to search for the data of RAC Scientist B recruitment notification. Mindfully write the details in the online application form since through application details only you can get the call letter for the next round that is an interview. Any wrong details entered means lead to cancellation of your application. In every year, there is minimum one job notification from DRDO especially for the graduation completed candidates. So this DRDO RAC Recruitment 2018 also from the DRDO organization since it is of the recruitment of DRDO job vacancies. The online application will be published on 18th June 2018 and after 21 days the link of the RAC recruitment application will be closed. So carefully refresh this page daily to see when the link will be activated. Stay tuned to Recruitmentindia.in for more updates.